Something to brighten up a gloomy February next year! The National Gallery has just officially announced an upcoming exhibition of works by Louis-Léopold Boilly (1761-1845). The exhibition will feature 20 unpublished works from the Ramsbury Manor Foundation which, acccording to the National Gallery press release, "represent the highlights of Boilly's long career in Paris, from 1785 to the 1830s". Boilly, who was born near Lille, worked in Douai and Arras, before settling in Paris in 1785. With the Revolution he abandoned intimate interior scenes for private patrons and began to produce pictures for public exhibition, including ambitious street scenes. He exhibited regularly at the Paris salon between 1791 and 1824. The picture used for the exhibition banner is "A Carnival on the Boulevard du Crime', painted in 1832. The London exhibition will also include drawn and painted portraits, both of private clients and Boilly's own family; and examples of trompe l'oeil - a term Boilly himself is said to have coined. 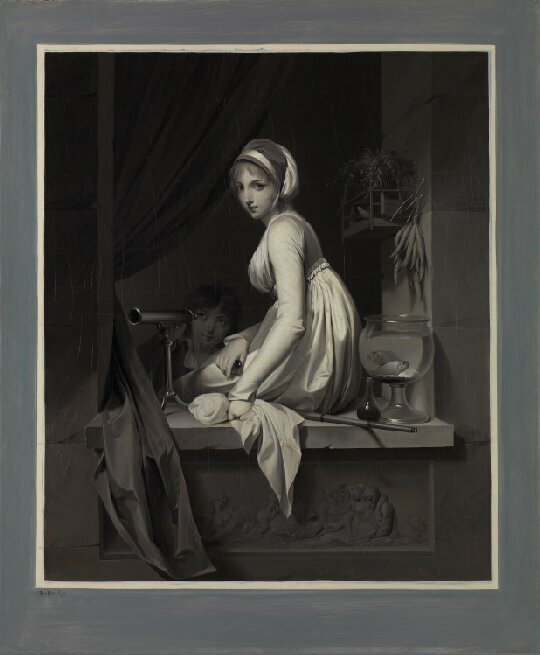 The exhibition gives National Gallery a chance to showcase its one solitary Boilly, "A Girl at a window", which is a grisaille based on a painting submitted to the1799 Salon. 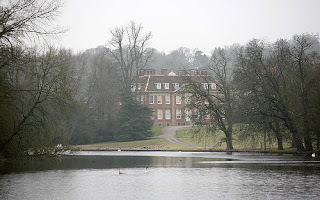 On his death in 2015 Hyams left £450m to establish a trust to make Ramsbury Manor and its art treasures accessible to the public. The first opening is planned to take place in eighteen months time. Hyams’s collection includes paintings by Rembrandt, Rubens, Stubbs and Turner. Turner’s The Bridgewater Seapiece (1801) is currently on loan to the National Gallery. Others , such as Burne-Jones's Tristran and Iseult (1872), Millais's Cherry Ripe (1879) are known works. The Boillys, however, have not only never been exhibited, most have never been photographed or catalogued.